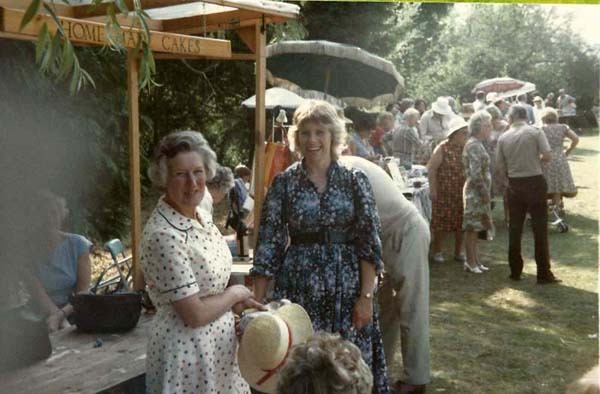 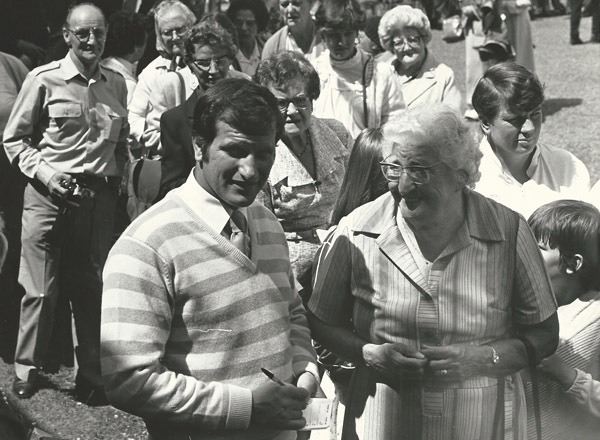 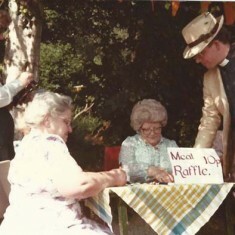 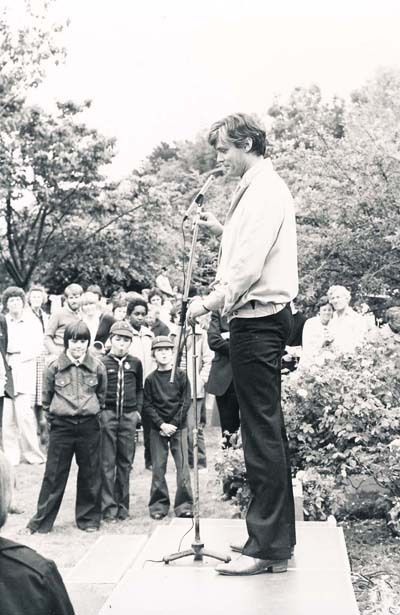 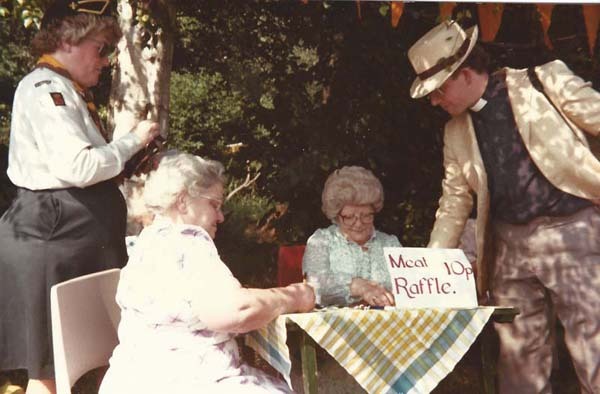 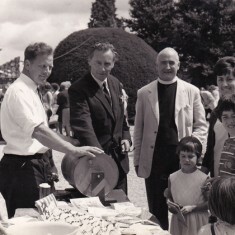 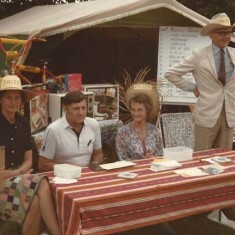 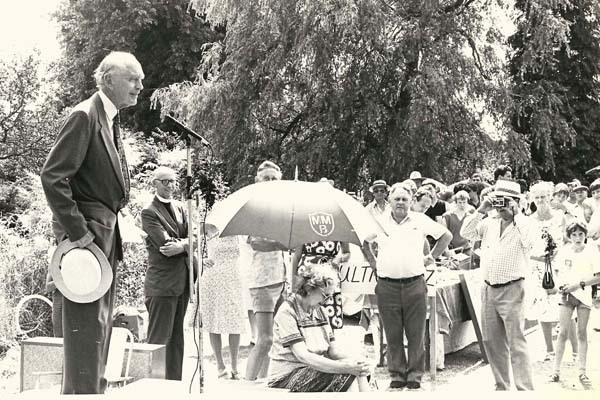 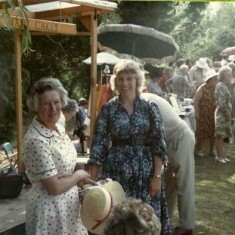 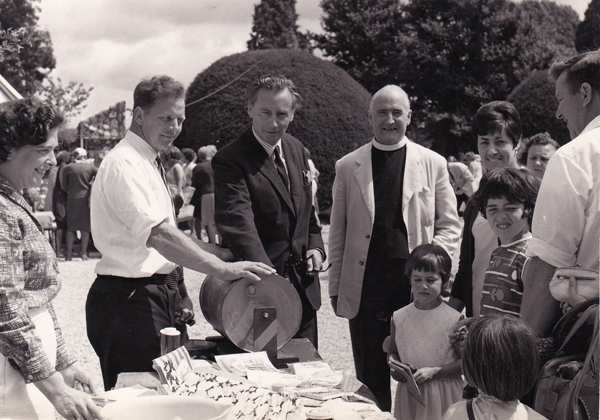 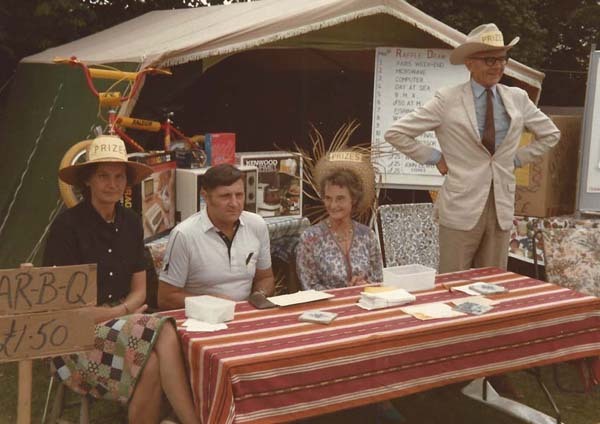 Sir Alec Dougblas Home opening Church Fete, c.1982, with Rev Rodney Smith. 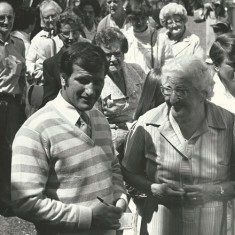 Bob Champion, famous jockey, with Ann Williams. 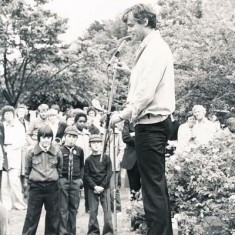 1982 or '83. 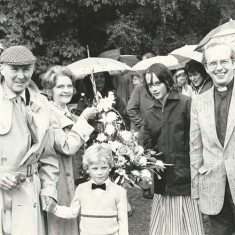 Church Fetes are held every year in early July, usually in the garden of Cross Keys. 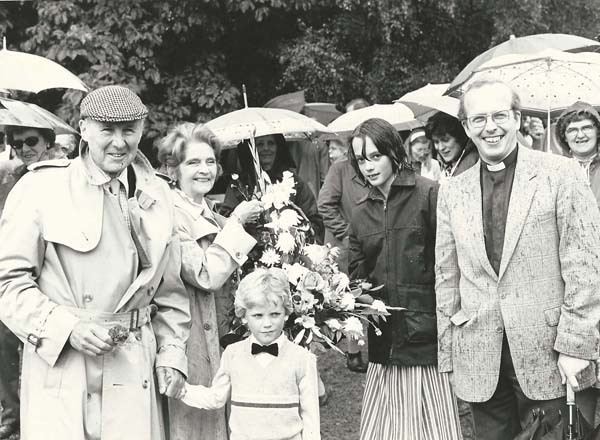 When the playwright William Douglas Home lived in Drayton House, he was able to attract famous names from the world of the theatre to open the Fetes, and also his brother the ex-prime minister Sir Alec Douglas Home. 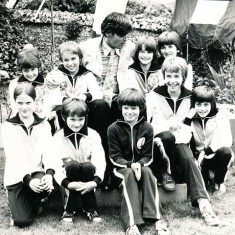 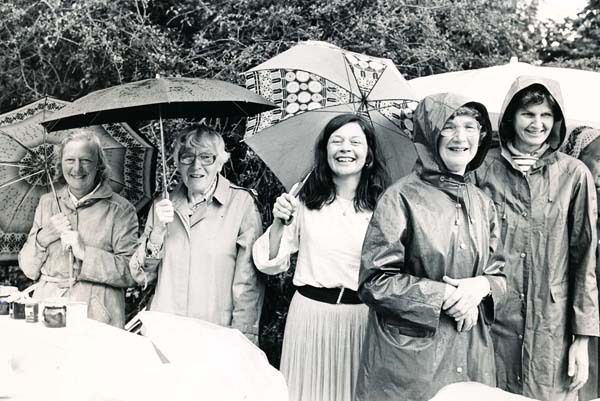 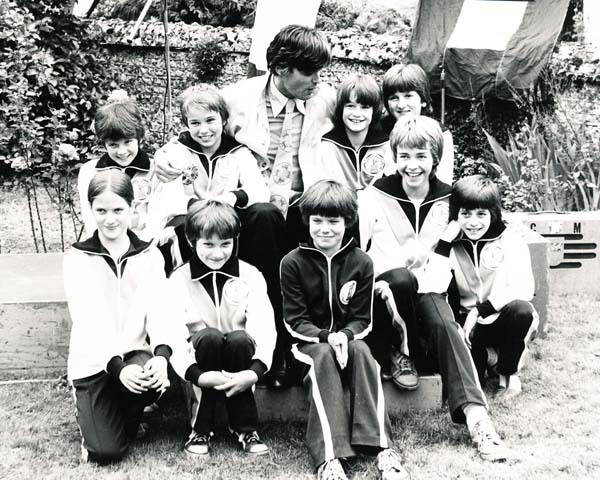 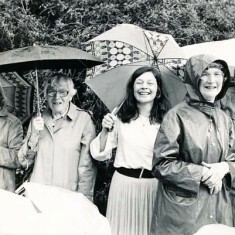 These black and white photographs were taken at Fetes in the 1970s and early 1980s. 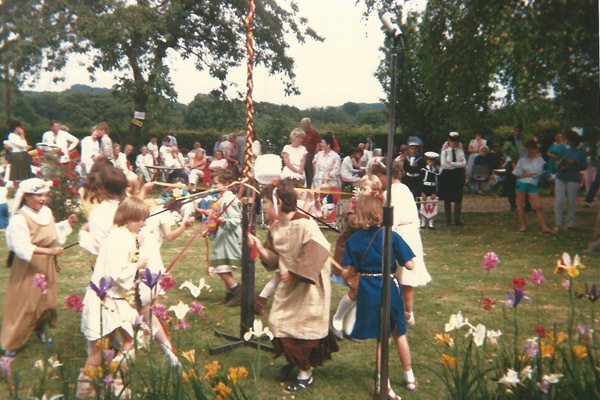 Three colour photos show fetes in the 1990s. 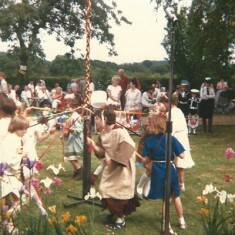 (Two pages of colour photos are attached, recording Fetes held between 2005 and 2007).